A white and pale pink spray rose dress corsage with silver dusty miller foliage and ivy leaf backing for the mothers of the bride and groom. Matching white rose and camellia leaf buttonhole for the groom and groomsmen also available. Order online or by contacting us at enquiries@bridesinbloom.com.au. 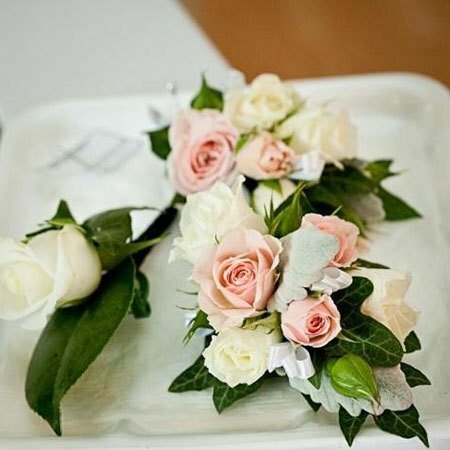 Alternatively click on this enquiry link for a fully customised wedding corsage or buttonhole quote within 48 hours.